We love working with our customers and are excited about each new sign project! Feel free to click the images below to view examples of our work along with a testimonial and company recommendation from that client. 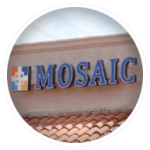 We are the Phoenix sign company that strives to make every customer’s sign wishes come true, from vision to reality. "We would like to express our gratitude for your excellent service. 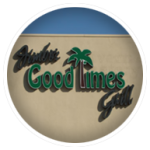 As our first time creating artwork for a sign, you not only guided us along, but you made great recommendations to make our signs look great. We relied on you heavily to make sure what we were creating would look good at the right size, color, and type of lighting. Both our signs turned out better than we had hoped for and you would not believe the compliments we receive on it daily. Please thank all those who worked on our signs including Mark, Larry, Sejad, Junior, Tom, Buck and the entire install crew. A special thank you to Jack Wanger for his professionalism and friendly attitude. Western Signs, you are a rare gem and we are happy to have found you. Cheers to the next location!" 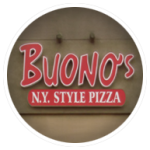 "I wanted to take this opportunity to thank you for the great service that you and Western Signs and Lighting gave me in the course of setting up my new restaurant. You and your team not only designed, built and installed my signs at a competitive price but you kept the project on schedule despite the obstacles with my property managers. You managed to come up with alternatives and suggestions that not only helped me get their approval, but also improved on my original sign ideas. I learned a lot about signs from you and if I ever decide to set up a new restaurant, I’ll know just who to call. I would totally recommend Western Signs and Lighting to anyone who is interested in getting a quality sign at a reasonable cost from a company who cares about quality. These guys are the “real deal” when it comes to designing and building signs." 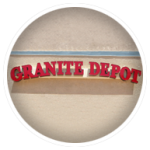 "I have been in business since November 1998, and have always used various sign companies for our advertising needs. 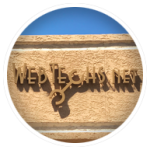 Last year I opened a new location in Mesa and did a lot of research to find a good, honest sign company that would do a great job at a reasonable price. I was referred to Mark from Western Signs and I have been very happy with their work. They are always very prompt and provided an outstanding job in all the work they completed for my new office. I also had Western Signs redo my Phoenix office which I am very satisfied with. 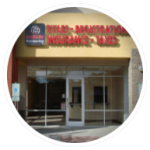 I have learned that signs are a very important part of a business because my customer flow has increased a great deal. I will continue to use their services and will definitely recommend their work and rate their performance at 100% excellence."